Cleverous is a software development studio specializing in projects utilizing the Unity game engine with a focus on solutions and products for gameplay prototypes and sustainable code architectue. Auxilliary products include 2D and 3D art with a focus on lightweight design and usability. 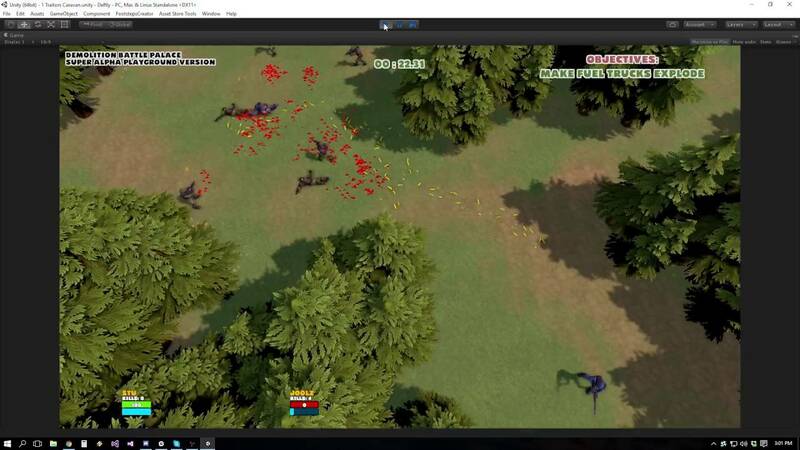 Deftly II is the definitive top down shooter toolkit for Unity game development, focusing on giving you the foundation tools, code architecture and editor utility to create games similar to hits like Gauntlet, Alien Swarm and Titan Quest. The built in Weapon IK system for Humanoid characters offers you the option of not using any custom animations for your ranged weapons. 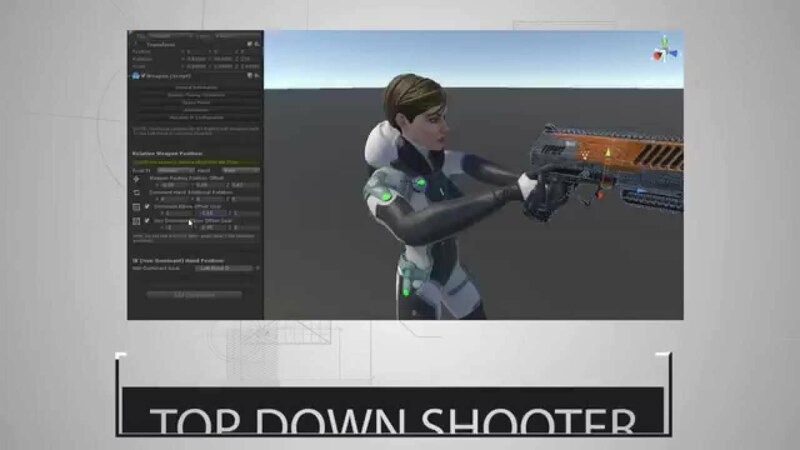 Utilize fully customizable weapon configurations from basic, simple data - avoiding many expensive hours of animation work. Create melee weapons, ranged weapons, character abilities, traits, projectiles and ammo types all from flexible ScriptableObject data driven structures and drag-n-drop them to any character you want and take full advantage of 3d navigation with support for verticality and height based aiming. STATINATOR is a back end stat system for characters in your game. Throw it on your character class and behold as it maintains all of the glorious stat values you have defined, clamping and adding with wizard-like accuracy. STATINATOR's ScriptableObject StatPresets and StatModifiers make loading presets and throwing self maintained stat modifying effects onto characters easier than multiplying by zero. STATINATOR is designed around accessing character stats through enum references instead of silly string lookups. That means you don't have to worry about writing code that will have a meltdown because you renamed a stat or be held down by hardcoding all of those awesome stats you need. Zed is a low poly rigged model with simple PBR textures that you can use as a prototyping dummy for your game characters. Fully retargetable within mecanim, the rig includes all Humanoid bones and optional bones to ensure full support for 3rd party animations. The Zed Animset is a fully retargetable root motion keyframed animation pack for basic locomotion. Includes 40 animations for multidirectional movement, strafing, melee attacks, jumping, angular direction look poses and created with segmentation of upper/lower body in mind. Proxy Input is a middleware bridge between Input Assets and your game implementation. Implement it early and enjoy never modifying code when you need to change input systems or rename input references. Using a Virtual Controller concept, Proxy Input generalizes input references by name using an enum, then references them by index during lookup. An input injector is responsible for filling the virtual controllers with data based on the source - InControl, Rewired or Unity InputManager, for example - then scene entities can simply query the proxy for any of the input enums and get current data with no strings attached and zero 'input-user' code modification when you alter your input sources. This concept decouples end-user input 'reading' from back-end input 'population'. Isobox is a framework for building a game similar in style to popular titles like Don't Starve. Design game items in the Item Designer and use the template inventory for a fully functioning basic inventory system. Data driven item database means no need for prefabs for every item, design them and spawn by ID. Isobox includes tools for creating humanoid skeleton systems for characters and referencing bones and their display sprite by name or enum as well as creation of your own skeletal standards for non-humanoid entities. Private local or remote meetings are by appointment only. Don't hesitate to email with Supportor Business inqueries. For specific product support you can also use the Unity Forums to post a message in that product's support thread. Support inquery turn around is generally less than 24 hours.